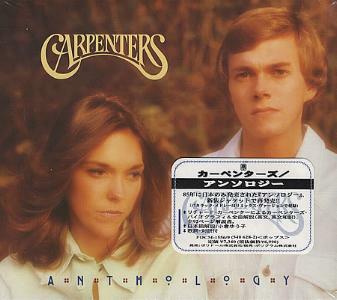 ANTHOLOGY had been released in Japan on a limited edition LP set in 1985 and more widely on CD in 1989 and, at the time, was the foremost compilation of Carpenters material attempted. It was a massive four-disc set containing all the hits, favored album tracks, and even the entire oldies medley album side. It was the first time the world was treated to Carpenters’ version of “Honolulu City Lights” and marked the first release of the live Bacharach/David Medley. Other changes added the “Casa Rosada” intro to “Don’t Cry For Me Argentina” as a separate track, removed a number of segues, and combined the full side two of NOW AND THEN (“Yesterday Once More”, the Oldies Medley, and the reprise) all into one track. On the prior ANTHOLOGY, the reprise was separated out as its own track.